The word Katyusha brings to mind, images of the deadly rocket launcher used by the Soviets in World War II. These rocket launchers were used extensively throughout the war and were known for the powerful punch they packed. Technically designated as Multiple Launch Rocket Systems (MLRS), these were available at a fraction of the cost of an artillery gun and could literally rain hell down on the enemy in a few seconds. The Soviets mastered the balance between firepower, mobility, accuracy and cost effectiveness while designing this system, which was instrumental in making it world-famous. This article deals with the origins, capabilities, performance in WWII and the role it’s successors play in today’s battlefield. The development of the Katyusha began as early as 1938 itself, when the Jet Propulsion Research Institute (RNII) in Leningrad was authorized to develop an MLRS. Initial large-scale testing began by the end of 1938, where it failed to impress the Soviet artillery branch due to its many drawbacks. They were then rectified, and in 1940, the Katyusha was authorized to be produced in limited numbers. You must be wondering about the name of the rocket launcher and why it was called Katyusha. This has a very unique story behind it. The existence of this weapon was a secret until after the war. So during the war, it was marked with the letter K, after the factory were it was being manufactured and were named as Kostikov guns to hide their true identity. So the troops of the Red Army nicknamed it Katyusha which was in fact, a patriotic song composed by Mikhail Isakovsky. The name Katyusha is the Russian equivalent of the name Katie and it stuck to the rocket launcher ever since. It also made a loud howling sound when it was being fired and the layout of the rockets on the launcher resembled that of a church organ. The German soldiers thus nicknamed it as ‘Stalin’s Organ‘ as it produced a wailing sound while being launched and it was widely feared by them. The weapon was so secretive that only special NKVD state police personnel and trusted party members were trained and permitted to operate it. But as it entered mass production, the restrictions were lifted and the weapon was available to the regular Soviet army troops. The Katyusha used an improved derivative of the aircraft launched 132 mm RS-132 rocket, the M-13. It had a 5 kg high explosive (HE) warhead. The vehicle on which was to be mounted on was designated as the BM-13. The designation BM-13 meant that it was the Combat Machine for the M-13 rockets. The explosive fragmentation radius upon impact was over 10 m.
It had a bulbous head which accommodated more explosive and used a frame launcher when compared to the rail launcher of the M-13. The frame launcher was called Rama and lacked mobility when compared to the BM-13 as the initial versions were not mounted on mobile platforms. Each rocket had a 29 kg HE warhead which came at a reduced range of 4.3 km. 12 rockets were carried per frame by every BM-31 self-propelled launcher. A smaller rocket, the 82 mm M-8 was also used. It was designated as the BM-8. It was launched using rails and its smaller size permitted larger numbers to be carried on each launcher. 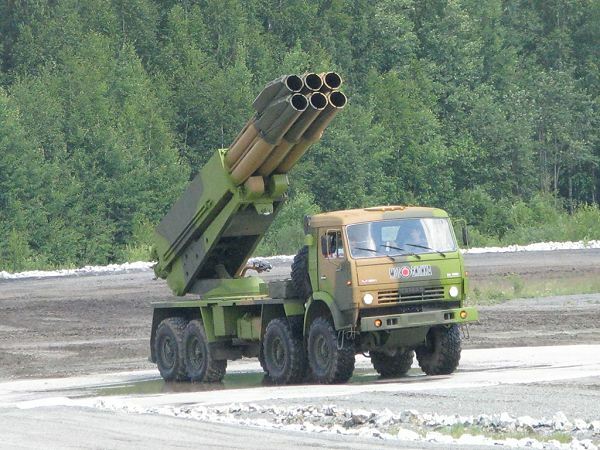 A launcher carrying 36 rockets was designated BM-8-36, a launcher carrying 48 rockets was designated BM-8-48 and so on. Initially, the M-13s were fitted only with HE warheads and used against enemy troop formations. But as the war progressed and the launchers proved themselves, the rockets were fitted with Armour Piercing (AP) warheads to be fired against incoming tank formations. Smoke, marking and illumination rounds were also developed to complement the HE and AP ones. The M-31s were however limited to only HE warheads. When fired in salvos of over a hundred rockets, they managed to inflict maximum physical and psychological damage on the enemy troops. But, both these rockets were highly inaccurate and had an effect only when used in large quantities over a target which was spread out. 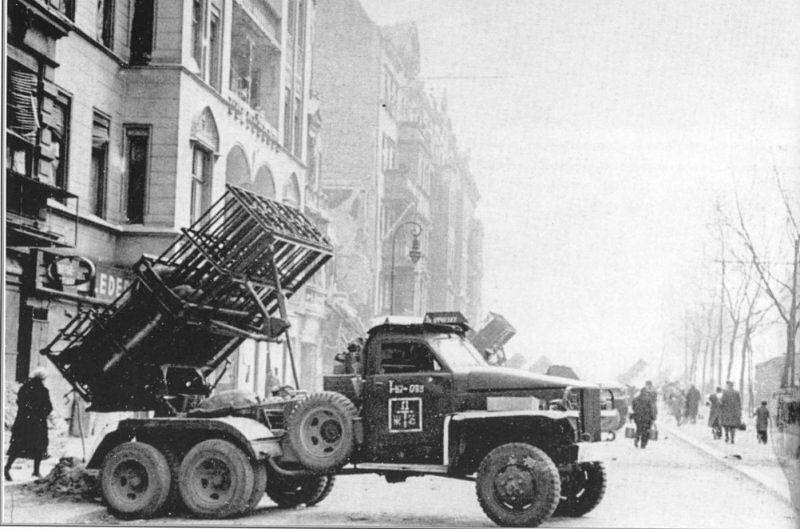 The launchers were initially mounted on the Soviet ZiS-5 6×6 truck. But as the war progressed, they were mounted on a variety of platforms including rail cars, tank chassis and boats. 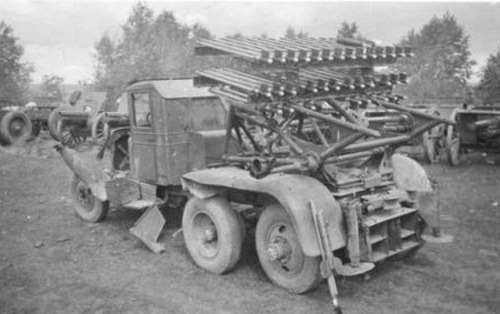 Thousands of trucks received from the US as a part of lend-lease were concerted into carriers for the Katyusha launcher. The Katyusha made its combat debut in 1941 when the Germans suddenly invaded the Soviet Union. This was not a good time for deploying the Katyusha as the only existing battery had 4 days of training and mass production facilities were just being set up. 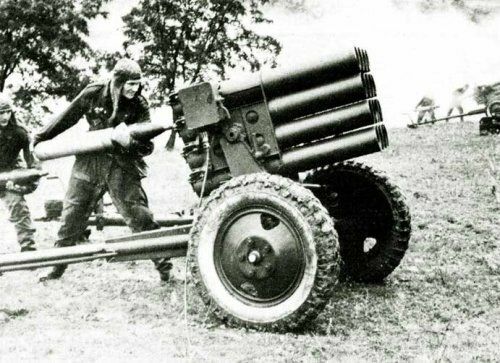 Nevertheless, the first battery, made up of 7 BM-13 launchers and 600 M-13 rockets, was sent to the front in 44 trucks. This was a time when the existence of the Katyusha was a secret, so every possible precaution was taken to hide the launchers until they were fired in combat. On 7th July 1941, the first battery went into action and showered its lethal projectiles onto an incoming formation of German troops, near the river Berezina. The German soldiers panicked as the deluge of high explosives rained on them and the steel fragmentation from the rockets added to the injuries and confusion. The screaming sound made by these rockets was enough to demoralize battle hardened and new recruits alike. This battery saw further action and performed according to expectations. But by October, the attacking Germans managed to surround the battery, but failed to capture it intact as the retreating troops of the rocket battery had destroyed all the launchers and rockets to protect their precious new weapon from falling into enemy hands. A salvo of M-13 rockets fired by a battery of four BM-13 launchers in 7–10 seconds, delivered 4.35 tons of high explosives over a 400 km² impact zone, making its destructive power roughly equivalent to that of 72 gun batteries. The favorable performance of the first BM-13 battery resulted in mass production and by 1942, significant numbers of the launchers and their fin stabilized rockets were available. They were extensively used during the defense of the Soviet Union from the German invasion and during the Soviet Army’s march into Berlin to liberate it. Over 500 batteries of Katyushas saw action on these fronts and operated with great success. M-13 rocket launchers in action on the outskirts of Berlin. Their firepower, combined with the noise and smoke they produced, induced panic among the German defenders. 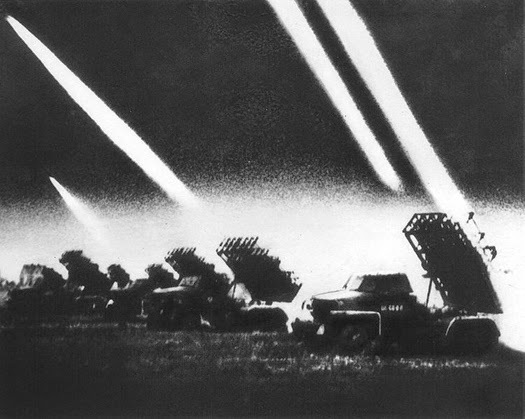 By the end of the war, over 10,000 Katyusha launchers were produced along with 12 million rockets! Around 200 factories were involved in the production of the launchers and the rockets. The thing that favored the fast production of Katyushas was that the launchers and rockets needed only light machinery to be produced. The time and resources utilized to produce a single launcher was a fraction of that used to produce a single howitzer. The video below shows the launch and impact of M-13 rockets. If you listen carefully, you can hear the sound which led to the nickname ‘Stalin’s Organ’. The success of the Katyusha in combat, its simple design and cost effectiveness have ensured that it along with its derivatives are widespread and extensively used even today. The term Katyusha is still used as a generic name to describe Russian MLRS of different calibers along with the prefix BM. 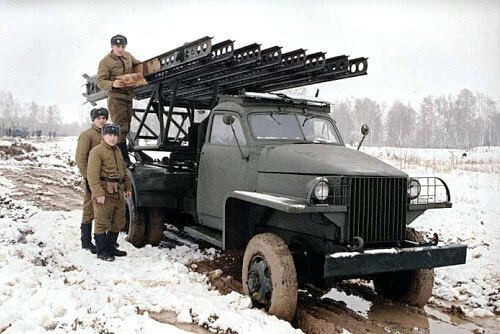 The most famous variant, post WWII is the BM-21 Grad which entered service in 1962 and is still widely used. Just like the BM-13, the BM-21 focused on simplicity, firepower and cost effectiveness, which made it popular among major militaries and insurgent groups alike. It has 40 launch tubes, which fire the 122 mm rocket to a maximum range of 20-35 km depending on the rocket. There is another variant which predates the BM-21, the 140 mm BM-14, which was introduced in 1952. Interestingly, this weapon is extensively used by extremists at present as it has a very compact and cheap, towed variant. 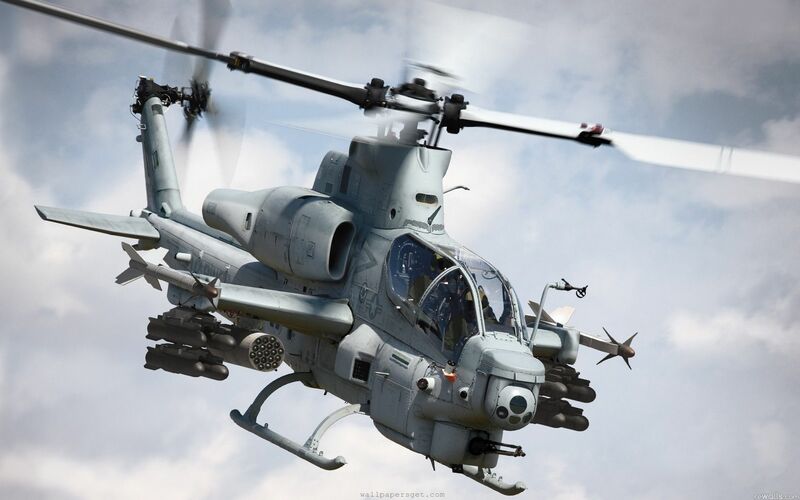 The latest use was confirmed in 2013 during the Syrian Civil War, where its ability to provide devastating firepower in saturation attacks was used. It was succeeded by the BM-27 and BM-30 heavy MLRS, which fire the 220 mm and 300 mm rockets respectively. These Katyushas can be equipped with long-range, guided rockets which can engage enemy targets at ranges and accuracies several greater than the WWII era Katyusha. The BM-27 can engage targets at 20 km, whereas the BM-30 can engage targets over 90 km away. These launchers are capable of delivering a massive amount of explosives in a very short period of time and can make the BM-13 look like a harmless toy in comparison. A well-coordinated salvo of 300 mm rockets from multiple batteries can easily flatten an incoming army division and inflict major psychological damage on the enemy. 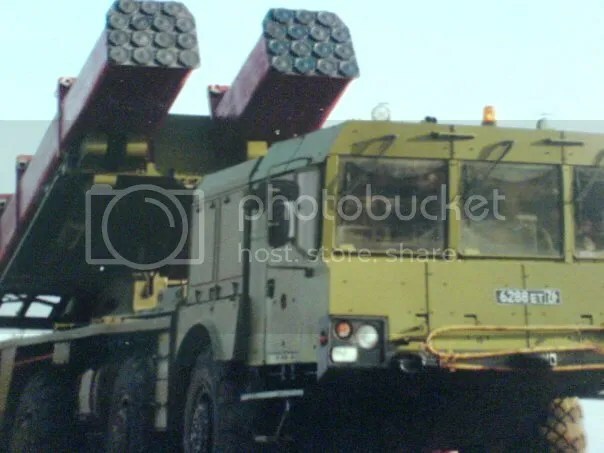 The latest avatar of the Katyusha is in the form of the 9A52-4 Tornado MLRS. This is a universal rocket launcher which combines the rockets of BM-21, BM-27 and BM-30 on a common, highly mobile 8×8 chassis. 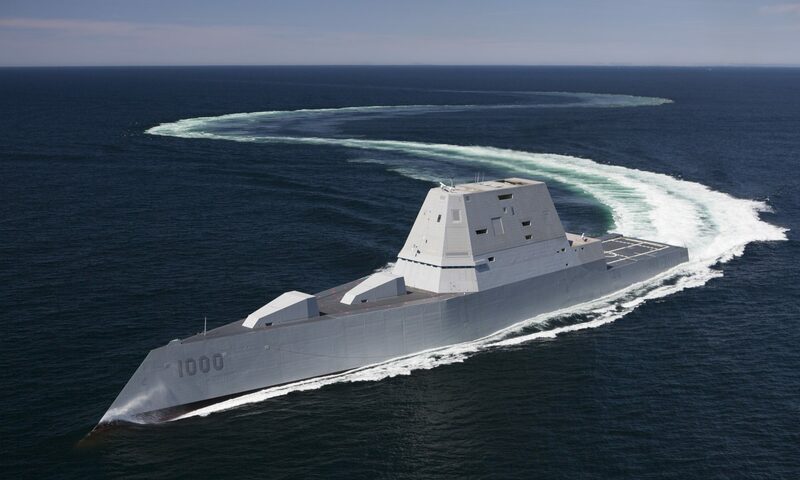 It makes use of automated laying, fire control, satellite navigation and positioning systems which allow it to lay down fire with greater accuracy compared to its predecessors. This launcher will be the future of Russian rocket artillery and will ensure that the Katyusha is relevant through this century. Enjoyed reading the article? 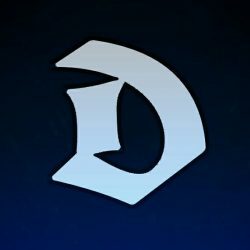 Rate it below! Thanks. Will put that suggestion on my list. Great idea. Please make a comparative between weapons that almost similar. I think USA and German have almost similar weapon that will interesting if was compared. The Germans had something called a “Moaning Minnie,” and the Americans had a “Calliope” that they mounted on a Sherman tank. Could this missile system penetrate the armour of tanks such as the Tigers, Panthers and panzer fours? Only if equipped with special warheads. The Russians were pioneers in MLRS but I believe the WS series by China are the most formidable currently. Widely deployed in the coastal areas in China, including systems dedicatedly targeting Taiwan, the WS family of rocket launchers are also widely exported, especially to a few Middle Eastern countries. Great article ! 1 question, Today’s Smerch MBRL’s roots are in Katushya or Smerch is totally different ? Thanks for taking us back to the World War Scenario. Very informative. Rocket artillery really possess a lot of firepower. Let’s consider your enemy has fired a barrage of 72 rockets towards your armoured colomns or artillery positions and each carrying 5 to 25 guided or unguided anti tank munitions. If you want to defend your assets which air defence systems you will deploy. Is it possible to defend a tank against rocket attack using smoke chargers and active protection system? Please write an article about counter battery operations and defence systems which are able to counter rocket attacks. Previous PostPrevious The Japanese Izumo-Class: An Aircraft Carrier in Disguise?